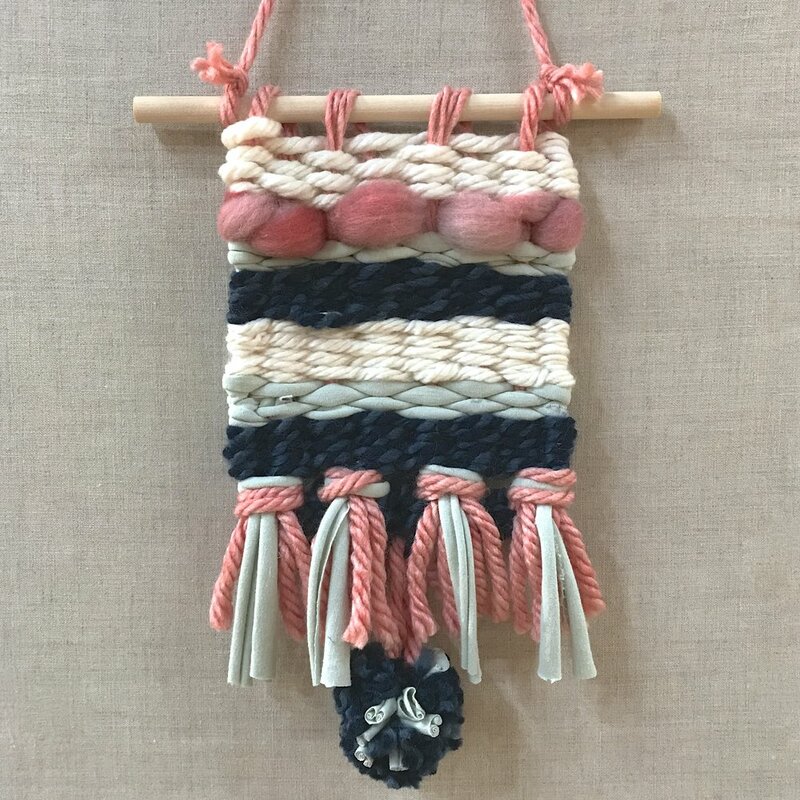 In this 2-hour tapestry class for budding weavers ages 8-12 yrs, students will learn to warp a small frame loom, weave, and finish their work with colorful fringe and pom-poms. Each student will leave with their own loom, tools, and a finished wall-hanging! All materials including yarn, loom, and tools are included.